Located on a 1.77-acre site, just south of the JTA Skyway’s Jefferson Street station between West Bay and Water Streets, the Lofts at Jefferson Station is a multifamily development proposed by Jacksonville-based TVC Development Inc. 80 units of the 133-unit project will be set aside for affordable housing. The remaining 53 units will be dedicated to workforce housing. In addition, the five story structure will consist of four residential floors over one level of parking with 150 individual spaces. Other components of the Lofts at Jefferson Station include 5,489 square feet of recreation/open space, a second floor fitness center and a fifth floor amenity area overlooking the downtown skyline. 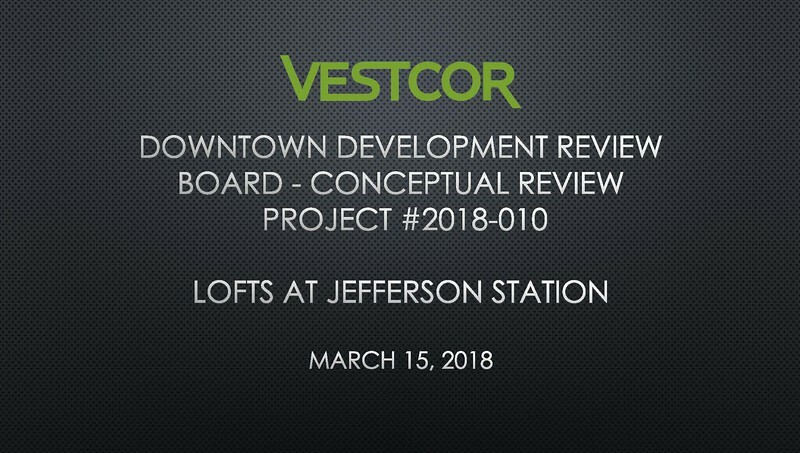 Currently under consideration by the Downtown Development Review Board (DDRB) for conceptual design approval, the Lofts at Jefferson Station is the fourth major residential development under construction or recently completed in the LaVilla area of Downtown Jacksonville. 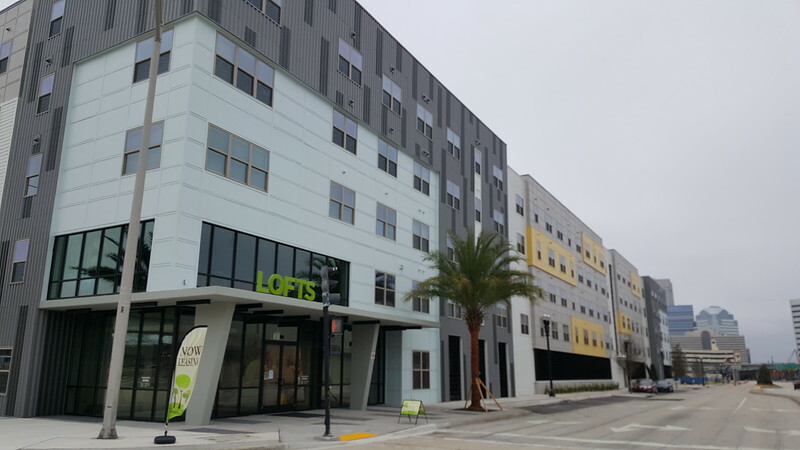 TVC’s 130-unit Lofts at LaVilla opened in late 2017 just west of the proposed Lofts at Jefferson Street site. 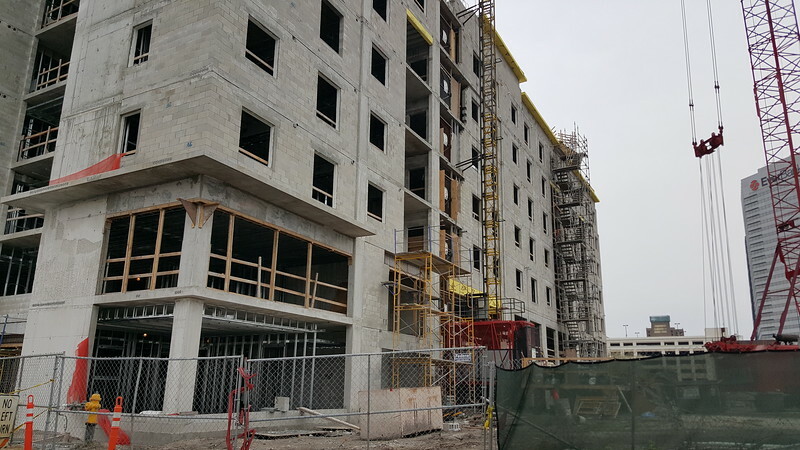 A few blocks north at West Adams and Davis Streets, TVC’s 108-unit Lofts at Monroe is currently under construction. 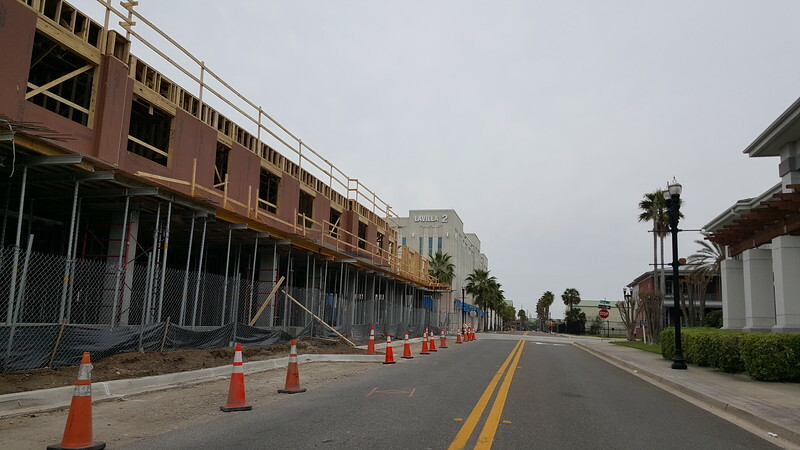 Furthermore, Sarasota-based Beneficial Communities continues to make progress on the 72-unit Houston Street Manor senior housing project at the intersection of Jefferson and Houston Streets.